Korea’s revised free trade deal with the US unveiled by the government late Monday included the revision of investor-state dispute settlement, in a move to curb the excessive use of lawsuits by foreign investors against the government. This may prevent the Korean government from being embroiled in legal disputes similar to those raised by Elliott and Schindler Holding AG, according to industry watchers. ISDS is a system through which investors can sue countries for alleged discriminatory practices. This acts as an alternative to the local court system and protect foreign investors from laws in a country that might be considered unfair. In Korea, critics have claimed that the system violates the nation’s jurisdictional sovereignty and imposes a heavy burden on the government. This year alone, the government faced four lawsuits related to ISDS, with total compensation of $1 billion. In April and July, US activist fund Elliott Management raised legal suits against Korea over a controversial merger of two Samsung affiliates in 2015. Elliott had opposed the $8 billion merger of two Samsung affiliates but lost that battle. The hedge fund claims that it suffered damage due to “unfair” mediation by the Korean government in the process of approving the merger between Samsung C&T and Cheil Industries. In July, Schindler Holding AG, the second-largest shareholder of Hyundai Elevator, also sought an investor-state dispute suit against the Korean government, claiming the authorities’ endorsement of the firm’s recapitalization plans tightened the controlling family’s grip at the expense of shareholders’ interests. 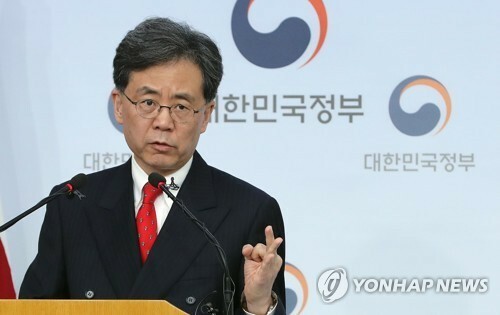 The revision unveiled Monday by the Ministry of Trade, Industry and Energy showed Korea and the US have agreed to limit the overuse of lawsuits and to protect the government’s authority over policies. According to the revision, an investor should prove the correlation between the government’s policy and the damage to a company. It will not be considered as discrimination against foreign investors just because the government’s action is not in line with an investor’s expectations. The two sides also agreed to map out grounds for an additional revision for further improvements. Some legal experts, however, said the latest revision is insufficient and the ISDS should be entirely abolished to fully curb the excessive use of legal disputes by foreign investors. “Such revisions are still inadequate to curb similar lawsuits by Elliott and Schindler Holding. It is necessary to abolish the ISDS clause like the US did for the North American Free Trade Agreement,” said Song Ki-ho, a lawyer at Soorun Asia law firm and Lawyers for Democratic Society. The ISDS system was first initiated by the US when it signed NAFTA with Mexico and Canada 25 years ago. However, under the Trump administration, the US began to seek to limit the system, to curb foreign investment by US investors in order to create more jobs in the US. In the renegotiation of NAFTA, the three nations nearly agreed to remove the ISDS mechanism to limit the authority of international investors. Meanwhile, the Korean government will arrange a date for the formal signing of the agreement with the US government and send the revised pact to the parliament for approval. A trade pact requires parliamentary ratification before it goes into effect.